In keeping with the tradition of Public Schools all students are member of one of four Houses. To explore the talents inherent in every child the School envisages various activities to provide maximum opportunities to children. 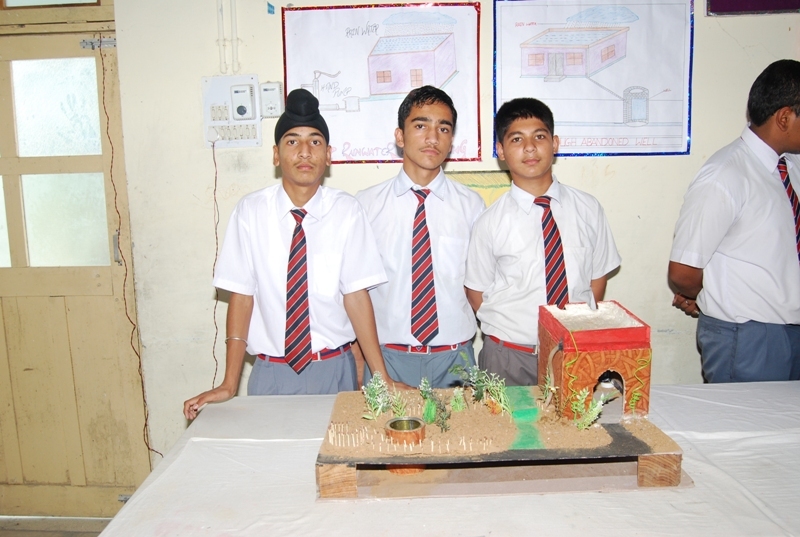 To facilitate this, the School is divided into four Houses named Aravali, Nilgiri, Shivalik and Vindhya. Inter house literary and cultural competitions are held throughout the term in order to develop inborn talents of students. Children spend their leisure time in positive and productive manner by enjoying music , dance, horse-riding, roller skating, lawn tennis , trekking, swimming, English Theater etc. The Royal College ‘CBSE school in dehradun with boarding‘ lays due emphasis on regular games and sports- an integral part of scholar’s life. A normal School day begins with early morning PT or aerobics, yoga. In the evening it is compulsory for each child to play games. Basic rules and skills in sports such as soccer, cricket, Lawn Tennis, Volley Ball, Basket Ball, Karate,track and field events are taught and developed. The Royal College has introduced a unique idea of ‘National Level Horse Riding’ with a theme of learning horse riding while developing an expertise in riding and to be able to participate in National Level competition which includes Hurdles and Polo. The child gains tremendous confidence at the end of this event. The Royal College encourages and entices its children to take active part in Music and Dance events and spontaneity of their response is overwhelming. Instrumental and Vocal music has become dear and and even fantasy for them. Similarly, western dances and Indian dances like Kathak and Bharat Natyam are endeared by the children and even inter house competitions are held in Music and Dance for annual event. 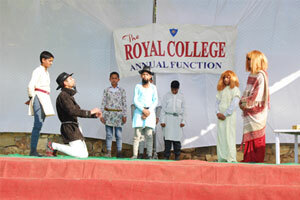 The Royal College has given an appropriate emphasis for the game of cricket which holds festivities for the country. The student-players are benefited by most able coacing by the coach, who had played with and coached the national level players of Test and Twenty-Twenty cricket. Here, students have the facility of Net Practice where the pitch is structured on reaquired scientific standard. Not to mention that it provides a great attraction for the children of this cricket loving nation.